Are you losing the battle against Ragwort? For far too long the control of Ragwort has been haphazard, unreliable and costly, that is until now. Barrier H is an innovation in Ragwort control, destroying this deadly weed in record time, right through to the root. Barrier H can be applied at all stages of growth. Unlike any other spray, Barrier H can be sprayed onto flowerheads only to stop the seeding process straight away. Ideal for Councils, Highway Authorities and Network Rail faced with complaints from neighbouring landowners. This Environmentally Friendly and Effective all year round control for Ragwort, MAPP no. 10136, is sold as a ready to use spot spray in a 5L container with applicator gun. Within hours of application, small rosettes are dead - right through to the roots. Highways, Councils and Contractors can telephone 01953 456363 to receive a Contractor's information pack. 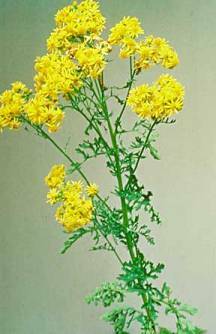 Click here for More Information about Ragwort and Barrier H and Online Ordering. To seach for your local stockist of Barrier H just enter your county and click search. Barrier H is produced by Barrier Animal Healthcare, a division of Barrier Biotech, based in Norfolk, United Kingdom. It currently leads the world with the application of its patented technology in the field of animal healthcare, with a wide range of products for ectoparasites in Sheep, Cattle, Horses and Poultry. Recently we launched a new non-toxic animal and user friendly range for Small Pets to include a natural Flea & Tick Spray and further innovations are expected in the near future.